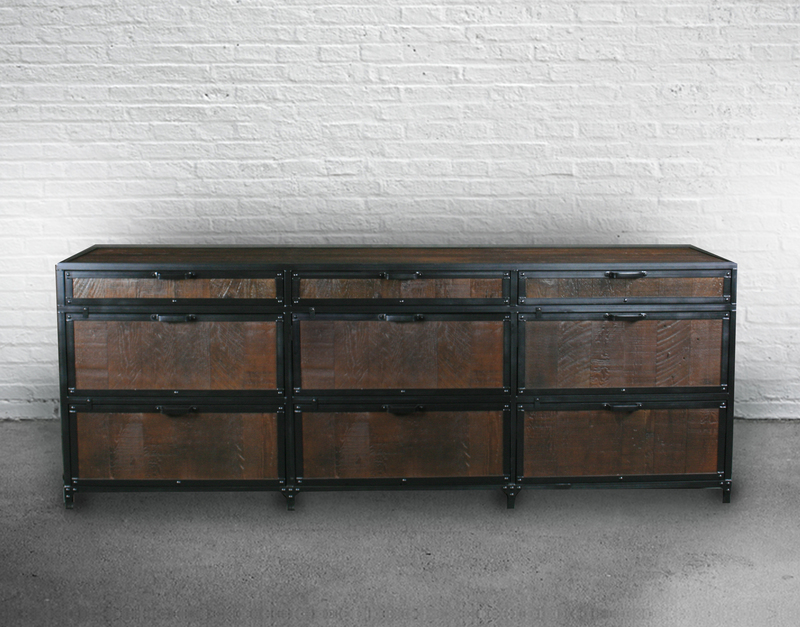 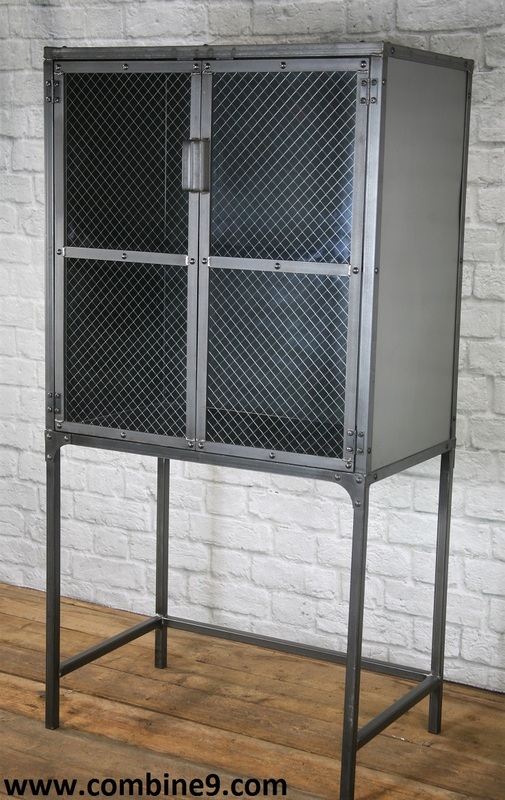 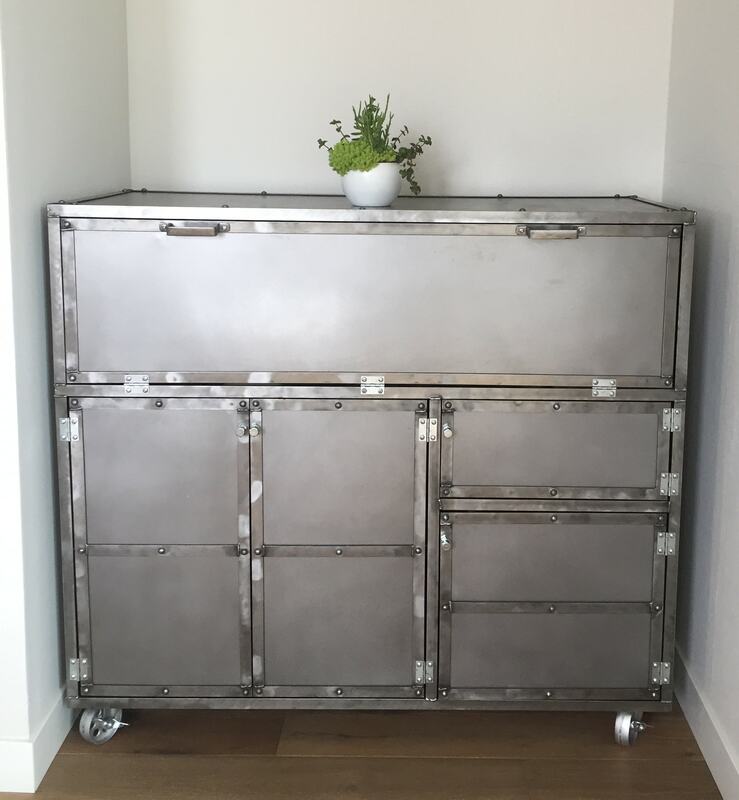 The modern industrial lingerie chest is a practical and stylish way to store nearly anything. 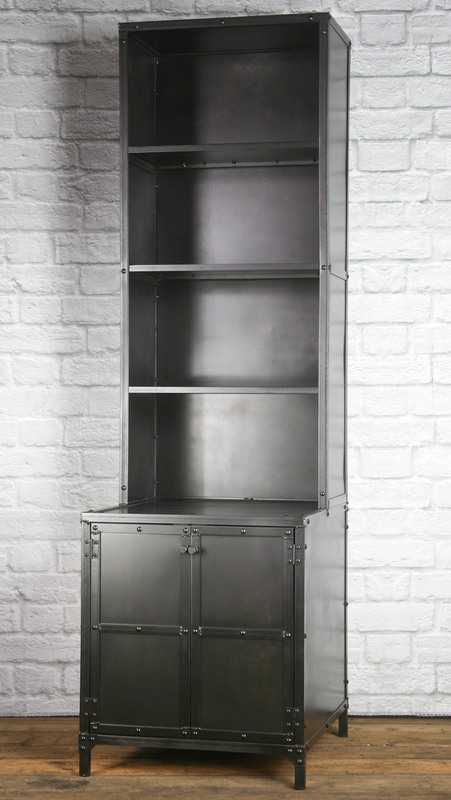 It measures 20”W x 13.5”D x 47”H, allowing it to stand in almost any space, but the dimensions can be changed to fit your specifications. 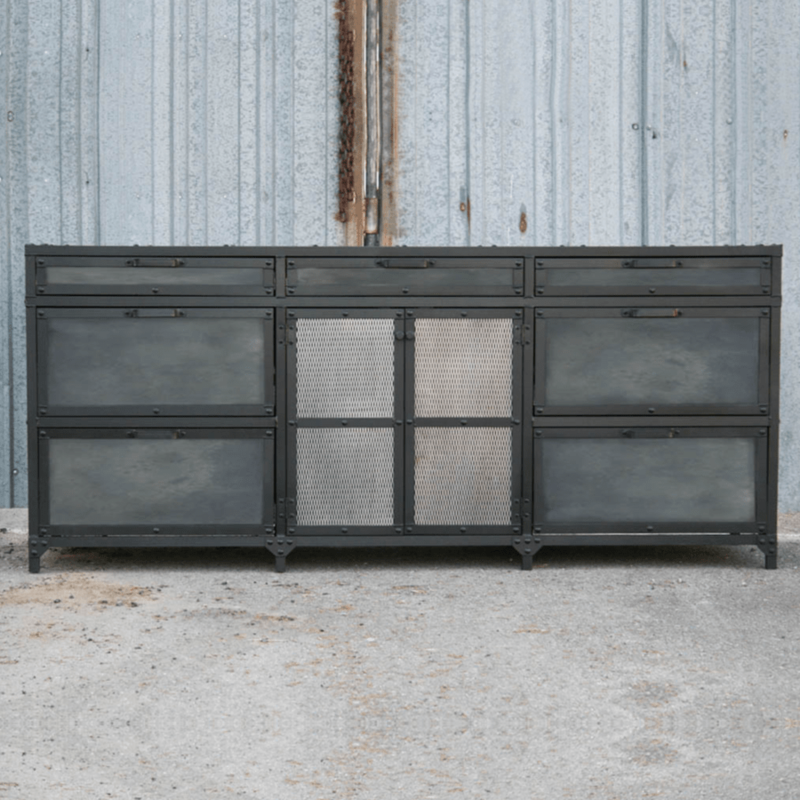 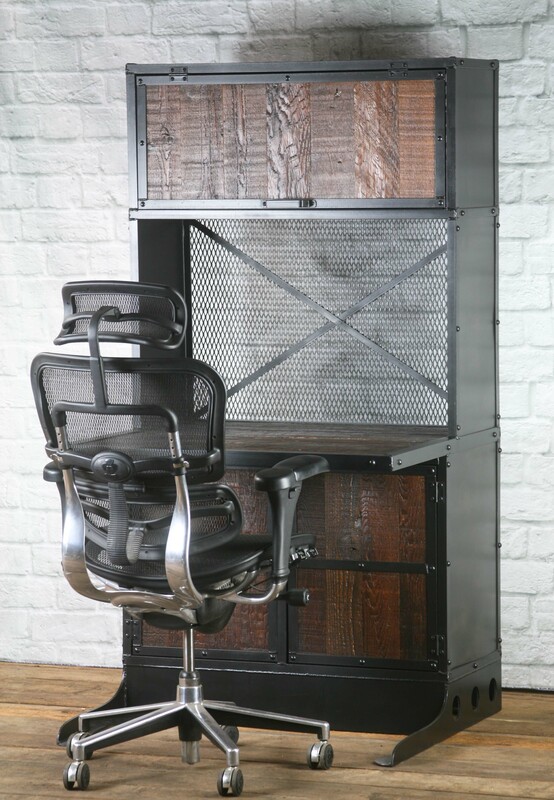 Made with reclaimed wood and steel, the rivets and brackets make it appear more industrial, while the patina could be made more distressed to emphasize it’s “vintage” look. 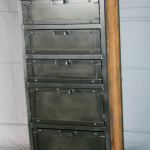 We have a variety of reclaimed wood we could use to build your industrial lingerie chest, from light to dark. 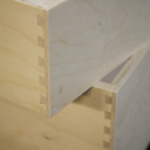 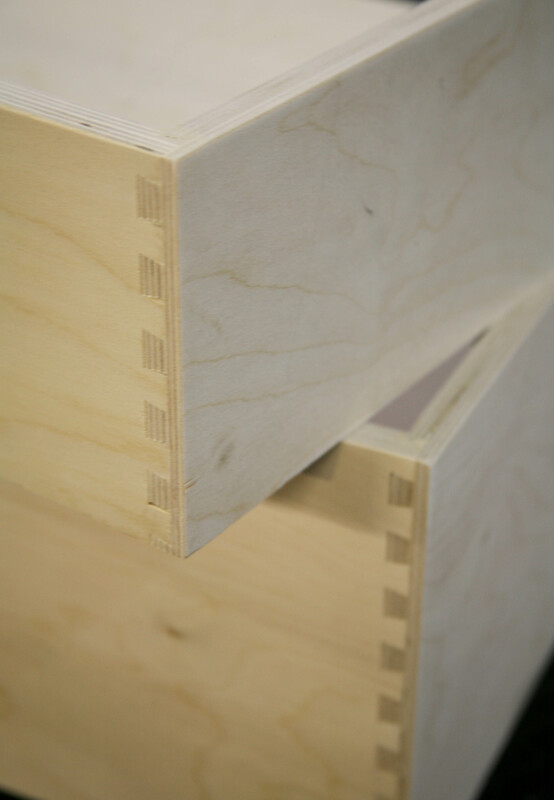 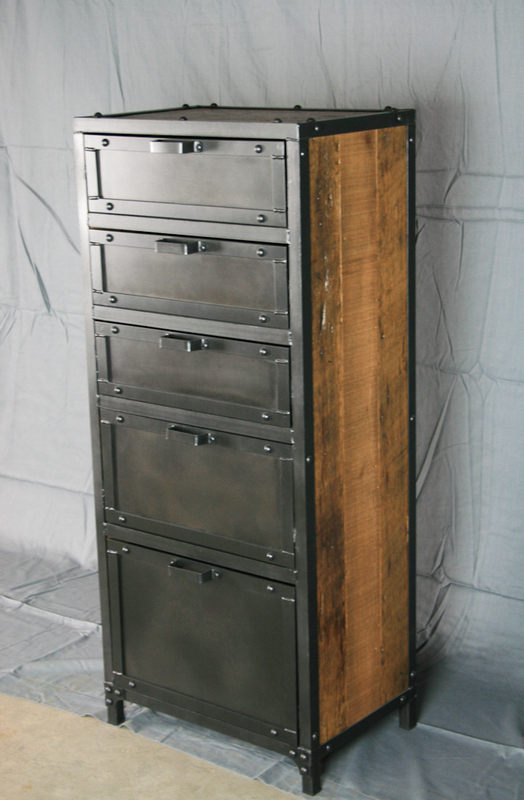 This one is built with five high-quality dovetailed drawers of varying heights, but the drawers can be done in any configuration needed. 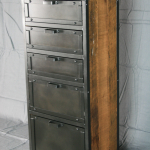 You could have more or fewer, or drawers of the same height. 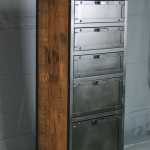 The faces of the doors could be done in reclaimed wood, mesh, or the wood top and sides could be made from steel. 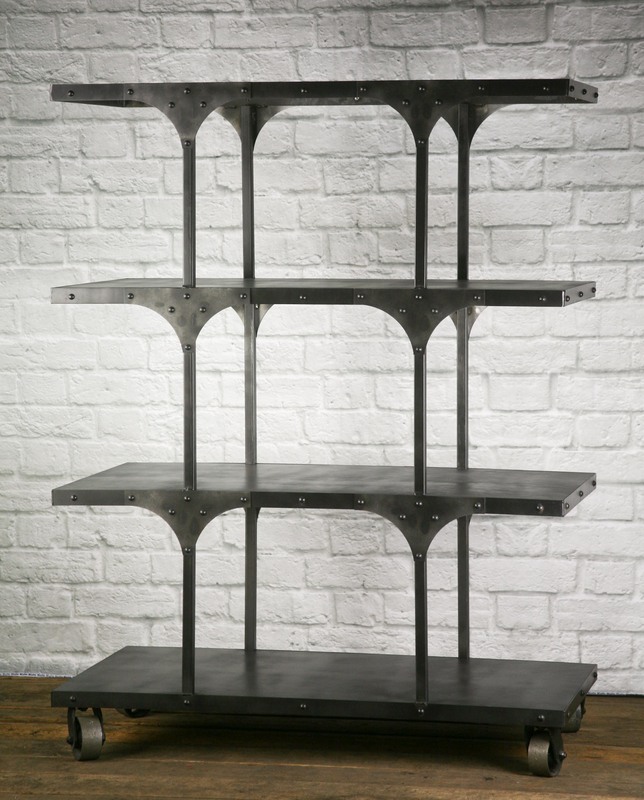 This can also be made with more rivets, fewer, or none at all. 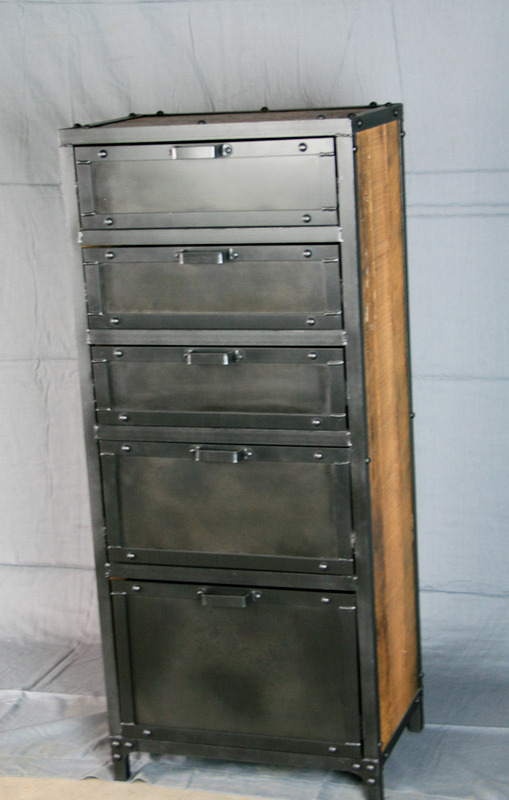 These are only a few of the ways this industrial lingerie chest can be customized. 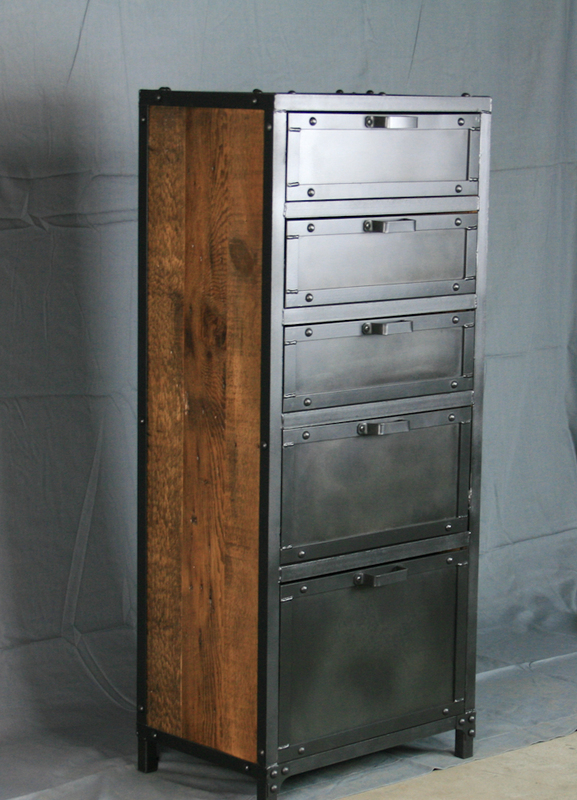 Your suggestions and ideas are always welcome for modifying any of our pieces.